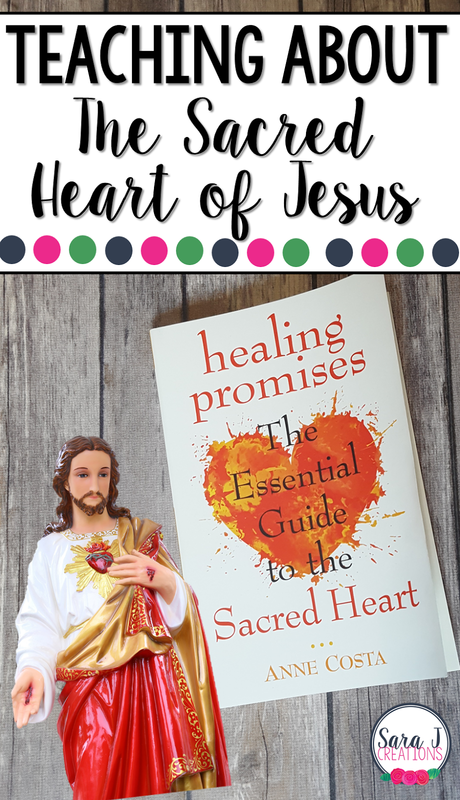 I have to admit that before I was asked to review Healing Promises: The Essential Guide to the Sacred Heart by Anne Costa, I was a little bit clueless about what the Sacred Heart even was. 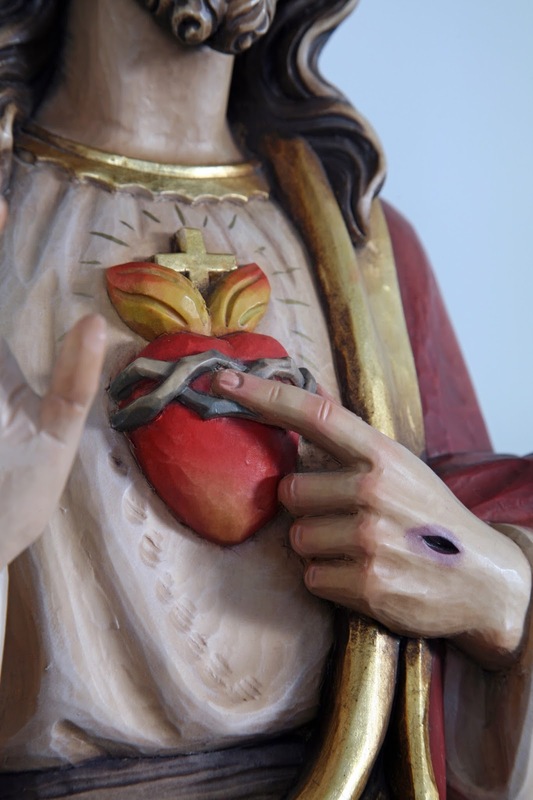 Sure I had heard the term before - we have a seminary close by that shares the name, I've seen images of the Sacred Heart of Jesus, but I didn't fully know the story behind it and what a devotion to the Sacred Heart really meant. This book is an AMAZING resource whether you have very little background knowledge (like me) or if it is something you already know about. Later in the book it walks you through the 12 promises that this devotion to Jesus and his sacred, sad and broken heart can bring about in your life. I like how during this part she added stories of real life people who had these promises occur in their lives after devoting their lives to the Sacred Heart. Those testimonials offer hope and comfort to others in similar situations. Another one of my favorite parts about Healing Promises is the focus on children. Often when I come across a Catholic resource, my first thought is how could parents or teachers use this with children. First, I think this will serve as great background knowledge that you could easily share with children. Second, there are several suggestions in the book for ways to include children, such as during an enthronement ceremony in your house. There are also additional resources at the end of the book that are helpful. Specific prayers, devotions and even a script for an Enthronement Ceremony for Families, plus additional places to go for more related resources are all included in the back of the book. Based on what I've read, I would like to offer some suggestions to teachers on how to teach about the Sacred Heart of Jesus. 1. READ this book. It is not a difficult read and for me I was so fascinated and learned so much that I got through it very quickly. 2. Display an image of the Sacred Heart of Jesus in your classroom. 3. Explain to students (with the help of this book) what is the Sacred Heart of Jesus - both the part about how much love that heart has for us all and also how much hurt it has for the way people have turned away from Him. 4. Consider devoting your classroom to the Sacred Heart of Jesus. Allow students to participate in an enthronement ceremony and help decide where to display the image in your classroom. 5. Share some of the activities that bring this devotion more alive in our hearts and lives such as prayer and the Eucharist. The book has more specifics of days and times to pray, go to mass, go to confession, go to adoration, etc. Obviously, you can't do all of this with the students in your classroom during your limited time with them, but make them aware and do what you can during school hours. 6. Allow students to spend time either in the classroom or in Adoration in front of an image of the Sacred Heart. Let them pray, journal, reflect and share what Jesus is saying to them. 7. Use some of the prayers from the back of the book in your classroom daily. 8. Share the stories in the book of lives that were changed from a devotion to the Sacred Heart - especially the ones that focus on kids. 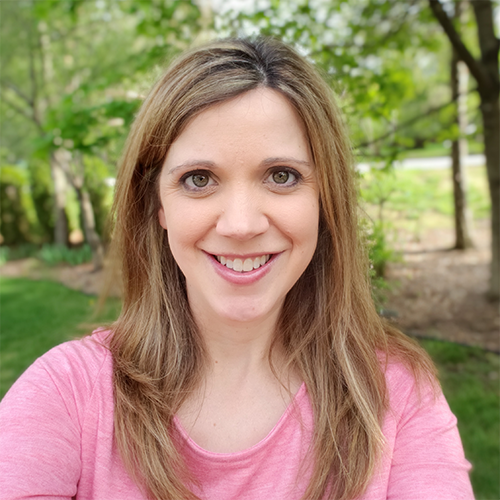 If you are looking for a true essential guide that is well written and easy to understand about the Sacred Heart of Jesus, I couldn't recommend Healing Promises: The Essential Guide to the Sacred Heart by Anne Costa enough to start you on that journey.